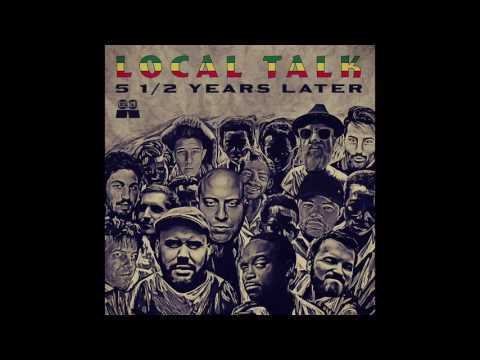 Local Talk (soundcloud) is a Swedish powerhouse label run by 2 of the nicest guys around, Tooli & Mad Mats . Since 2011 they have steadily built up a vast collection of releases, quality and quantity going hand in hand, something that is rare in todays throwaway age. It is testament to their standing amongst some of the best established and new producers out there that they receive the music they release in the form of demos. Local Talk have discovered some great artists in recent years such as the multi-talented, jazz trained synth maestro Crackazat, Spanish drum & piano wizards Kyodai and sample genius HNNY. Todays premiere comes from the 5 1/2 year compilation part two, a celebration of what the Local Talk sound is about. SMBD is the vowelless alias of Simbad, (soundcloud) a UK producer who has previously released music on G.A.M.M, City Fly, Sofrito & Faces. His contribution to this compilation is called Cesar. If you like “wrong chords” and loose drums then you will not be disappointed by this slab of tripped out jazz-house. Imagine a jazz cafe owner and a footwork dancer had a baby, then imagine that baby grew up and became obsessed with synthesisers and you are just about halfway to realising what this track is about. Layers of pads and quirky top melodies add a touch of intrigue to this short but oh so sweet nugget from Simbad. The shuffled hats, bouncy claps and Purdie-esque drum rolls give the track it’s dance floor charm with the bassline well and truly taking you for a walk on the funky side. This compilation is an excellent advert for the Local Talk ethos, differing styles but the quality is unwavering. 2017 has started well for Simbad and I hope this form continues. Vinyl is out next week, 27th of March. Grab it via Juno.